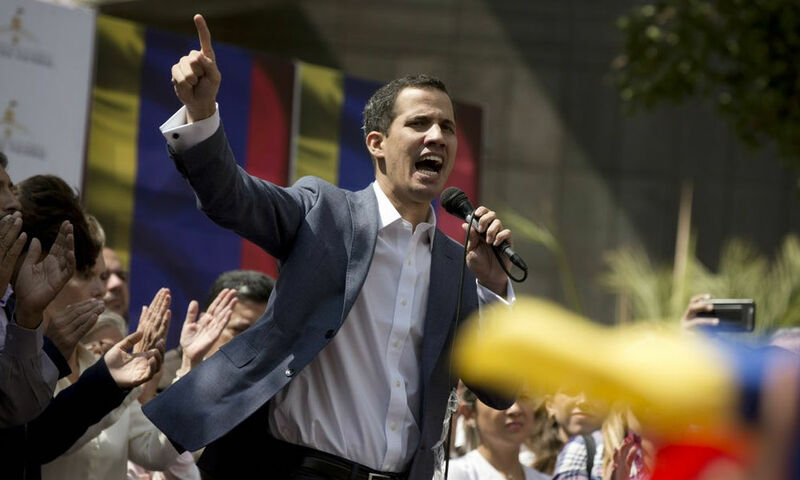 U.S. President Donald Trump is considering to impose further sanctions on Venezuela and to recognize opposition leader Juan Guaido as the country’s “legitimate president,” according to CNN en Español. Three sources told CNN that Trump was considering to recognize Guaido, but there was no immediate confirmation from the White House. CNN said Trump is also considering to impose an embargo on Venezuelan oil. President Nicolás Maduro has faced increasing pressure from the international community, with some calling his leadership illegitimate. Last week, Maduro was sworn in for a second term in office. Tuesday’s report comes just days after Guaido effectively called for Maduro’s ouster when he said he was ready to assume the presidency, a move described as treason by some officials and Maduro supporters. The Brazilian government has since said it recognizes Guaido as the country’s rightful president, prompting an angry response from Maduro, who called Brazilian President Jair Bolsonaro a modern Adolf Hitler. On Sunday, Guaido was detained when security agents stopped his vehicle on a highway in Caracas, but he was released a short time later. A government spokesman claimed the agents were acting without permission, accusing them of setting up a show for the media.